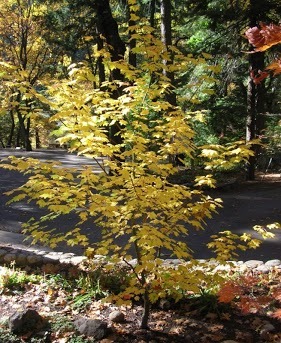 Vine maples are native to the Dunsmuir area. Search along the Sacramento River as you walk the park trail and you’ll find them living under taller trees. Considered one of the best native trees for the home landscape. Beautiful fall color. A nice alternative to Japanese maples.